Hello! I am Sue-Mei Wu. I am devoted to cultivating a community of driven, passionate Chinese teachers and learners. In my commitment to improving the accessibility and quality of Chinese Foreign Language teaching, I am a devoted, enterprising member of the Chinese teaching community, coordinating several technology-assisted learning initiatives, authoring new course content, and serving on the boards of numerous professional associations. Sue-mei Wu received her Ph.D. in linguistics, with a minor in language pedagogy, from Ohio State University. She has taught at Ohio State University, Harvard University and Carnegie Mellon University. During her more than two decades of CFL teaching, she has devoted her linguistic, pedagogy and technology expertise to creating and developing various innovative new Chinese courses, textbooks, online courses, and teacher training. She has designed, developed and coordinated all levels of Chinese language and culture courses and received several awards and grants to support developing online language, culture and folk performance modules. She was the chair of the Chinese LearnLab of the Pittsburgh Science of Learning Center (PSLC, funded by NSF), and the PI of various online Chinese language and culture projects. She is the project leader and coordinator of the Chinese Online project funded by NSF & CMU’s Open Learning Initiative (OLI). She is the lead author of the Chinese Link textbook series & Pearson’s MyChineseLab (Beginning and Intermediate levels), the co-author of Classical Chinese Primer (Hong Kong: The Chinese University Press) and the co-author of a new textbook for heritage learners. Sue-mei is the Executive Director of the national Chinese Language Teachers Association (CLTA). In that role she runs the CLTA headquarters. She is also the founder, president and board member of Chinese Language Teachers Association of Western Pennsylvania (since 2014, CLTA-WPA) and has served as a board member of Chinese Language Teachers Association (CLTA, Nov 2009-Nov 2012), and on the Editorial Boards of FLA (Foreign Language Annuals, 2010-2017), JCLTA/CSL (2015-2020) and SCLT (since 2014). 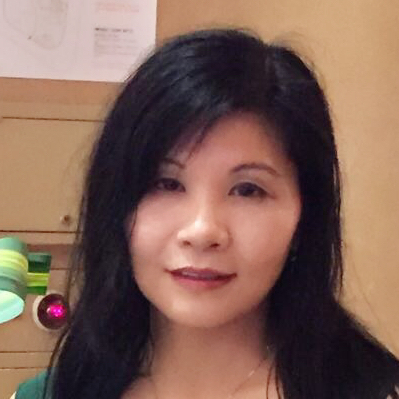 With her great efforts to incorporate technology-enhanced learning in language teaching and learning, she has been nationally and internationally recognized, receiving a 2014 CLTA/ACTFL Innovative Excellence in the Teaching of Chinese as a Foreign Language award, being nominated for the Pearson Cite 2015 Excellence in Online Teaching award, and a finalist for CMU’s 2016 Teaching Innovation Award. Dr. Wu's projects can be classified into three categories: technology-enhanced learning, textbooks, and linguistics landscape and digital storytelling. She often studies the efficacy of these projects through her coursework with students. Chinese Link: 中文天地 Elementary Chinese, 2nd Edition (2010). By Wu, S., Yu, Y., Zhang, Y. & Tian, W. Pearson Education / Prentice Hall. 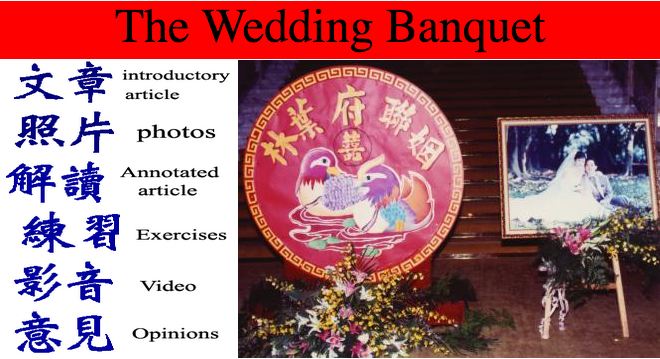 The Chinese Link (Elementary Chinese, 2nd Edition 2010) program is a complete set with (1) Text; (2) SAM (Students Activities Manual) (3) Character Book; (4) Audio CDs (5) IRM (Instructor Resources Manual); (6) Video DVDs for Elementary Level (7) Online Resources: Companion Website, www.peasonhighered.com/chineselink (8) MyChineseLab (the gateway to online learning and assessment systems for Chinese Link. Chinese Link: 中文天地 (Intermediate Chinese) Level 2 part 1 & Level 2 Part 2, 2nd Edition. (2011). By Wu, S. & Yu, Y. Upper Saddle River: Pearson education / Prentice Hall. The Chinese Link (Intermediate Chinese, 2nd Edition 2011) program is a complete set with (1) Text; (2) SAM (Students Activities Manual) (3) Character Book; (4) Audio CDs (5) IRM (Instructor Resources Manual); (6) Online Resources: Companion Website, www.peasonhighered.com/chineselink (7) MyChineseLab (the gateway to online learning and assessment systems for Chinese Link. Wang, J., Wu, S., Jiang, S., & Hsueh, F. (2007). 古文入門 Classical Chinese Primer. Hong Kong: The Chinese University Press. Sole author of the Workbook and Instructor’s manual for Classical Chinese Primer: Wu, S. (2007) 古文入門 Classical Chinese Primer: Workbook. Hong Kong: The Chinese University Press. Wu, S. (2007) 古文入門 Classical Chinese Primer: Instructor's Manual. Hong Kong: The Chinese University Press. Wu, S. (2009) 古文入門 Classical Chinese Primer: Audio CD. Hong Kong: The Chinese University Press. October, 2016: Professor Wu is invited to give two talks at Columbus State Community College & The Ohio State University, Columbus Ohio. October 2-3, 2016. August 2016. CMU, 8.5x11 News: "Faculty in Chinese Studies Conduct 2016 Summer Chinese Workshop for New K-16 Chinese Teachers in PA ", Personal Mention section (August 4, 2016). For the third consecutive summer, Sue-mei Wu, Gang Liu and Haixia Wang (l-r) conducted a workshop to help train more than 30 new teachers from China, who will teach Chinese language and culture in K-12 and college level programs in Pennsylvania. Wu, teaching professor of Chinese Studies, discussed technology-enhanced language teaching to introduce how to integrate new technology in teaching Chinese language and culture in U.S. classrooms. She showcased her CMU OLI Chinese online project, some Chinese language and culture learning modules and her digital storytelling projects. Liu, associate teaching professor of Chinese Studies, talked about cultural misunderstanding and Chinese teaching and learning. His presentation included some demonstrations of Chinese instruction. Wang, an adjunct faculty of Chinese Studies, organized the workshop and helped the new teachers from China get settled in Pittsburgh. The Chinese pedagogy workshop for the University of Pittsburgh’s Confucius Institute was held July 21-29. November 2015. CMU, The Piper News, 8.5x11 News, Personal Mention Section (November 5, 2015. Vol.26, No. 18): "Sue-mei Wu conducted a workshop on “Chinese Language Teacher Preparation for the Global Era” for Chinese educators at University of Pittsburgh and co-organized a symposium at Penn State University". Language Students Share Their Work in Online Journal: ML undergraduate Journal - Polyglot (Since 2007, it has been managed by Sue-mei Wu, teaching professor of Chinese studies in the Department of Modern Languages). October 2015. Sue-mei Wu Receives Funds to Support Pioneering Research. News Story article: "Wu Received Funds to Support Pioneering Research" appeared on Dept. of Modern Languages, News Stories section (October 13, 2015). It also appeared in CMU’s 8.5x11 News, Personal Mention section, "Sue-mei Wu has received funding for her Hand Puppet Theater and Taiwanese Opera project" (October 15, 2015, Vol. 26, No. 15). August 2015. News Story article: "Training PA’s Chinese Teachers" appeared in CMU’s Dietrich College of Humanities and Social Sciences, News Stories section on August 5, 2015. It also appeared in CMU’s 8.5x11 News in Personal Mention section (August 6, 2015, Vol. 26, No. 5). May 2015. CMU The Piper News, 8.5x11 News, Personal Mention section (May 7, 2015): "Sue-mei Wu co-organized a successful CLTA-WPA Spring symposium at the Univ. of Pittsburgh on April 12, 2015". October 2014. CMU, 8.5x11 News, Personal Mention section: "Successful Chinese Symposium organized by Chinese Studies Faculty at CMU". May 2014. CMU, 8.5x11 News, Personal Mention section (May 22, 2014): "Chinese Studies Faculty established CLTA-WPA Organization to promote Chinese education in Western PA"
2012-2013, Featured in the “A Better home” documentary film. It was first screened in the “Film Kitchen” program in Pittsburgh on July 10, 2012. Director: Chia-Pi Phoebe Chao. The film is about how overseas Chinese women living in Pittsburgh promote Chinese culture and contribute to the Pittsburgh community. The film was subsequently selected to be broadcast on the WQED TV station 6 times during 2013-2016 ("Filmmaker's Corner" program on Saturday evening). It was first broadcast on WQED on Oct 19, 2013. 3/7/2007, was interviewed by Kelly S. Solman (Communications Specialist, Division of University Advancement, CMU). Topic: Meeting the Challenge, Chinese Language Program Gains Popularity. Article appeared on CMU’s main page on April 5, 2007. Summer 2005 & 2006, worked with a crew in Taiwan to shoot the culture video for the language and culture dialogues for the Chinese Online project. 2/13/2005, was quoted in the Economist. Sue-mei Wu Chapter 4: Hand Puppet Theater Performance: Emergent Structures and the Resurgence of Taiwanese Identity. Religion and the Formation of Taiwanese Identities. pp. 99-122, 2003. Edited by Paul R. Katz and Murray A. Rubinstein. New York: Palgrave Macmillan Publisher.